Aspect Signs is family run business, with knowledge and experience of the signs & engraving industry, passed down for generations. 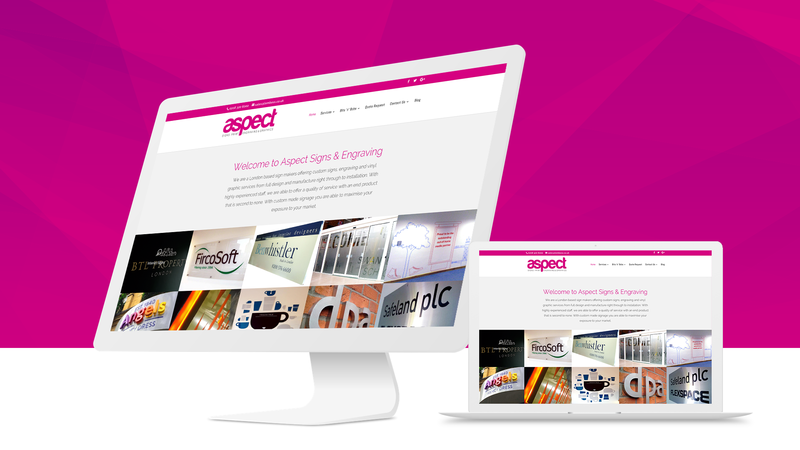 The Aspect team had an older website that needed a complete revamp. They were looking for a web page that would represent their work. 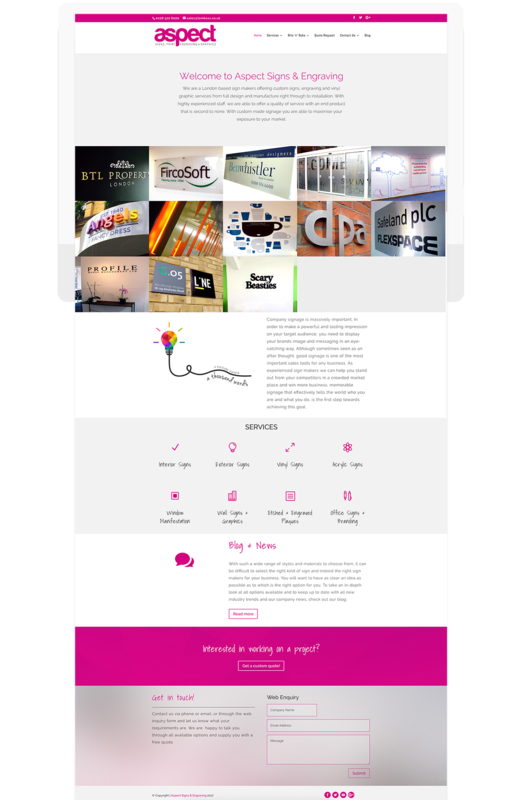 Using the branding colours from the logo, the aim was to create a clean but colourful website, using large images to bring each page to life.